A few months ago I was asked to speak to a group of 30 women at the AGM of the Financial Women’s Association, Singapore. The theme was entirely up to me so I thought it might impress if I put on a small tasting of wines made exclusively by women winemakers, both empowering and taming my audience. Things were going swimmingly with lots of interaction and pertinent questions until one of the more perceptive woman in the audience asked, “So, is there a distinct difference between wines made by a woman? Would you say there are defining characteristics in a wine made by a female winemaker? A moment of pause ensued, that is I paused whilst my brain searched for the most politically acceptable and intelligent response. If the audience had been French, it would have made the polemic easier to answer; the concepts of feminine (féminin) and masculine (masculin) integral to their vernacular and woven into wine-speak with poetic ease. The French seem to have a licence to use féminin as a descriptor in a most positive way or perceived as fine and elegant with the innuendo of a woman’s touch without incurring any political incorrectness or offense. And yet they can also puff up their chest and use masculin to the same degree of adoration and (male) chauvinistic emotive to imply a wine has power and is impressive in its structure, without offending whatsoever. Having gingerly touched on this French idiom with my muliebrous quorum and sensing I was about to be burnt at the stake, I quickly moved to a more unifying answer or explanation; that is all the wines we were tasting had an interrelation and similarity in the winemakers ideology and subsequently what I would define as a tangible purity and energy that is directly related to all of these winemakers practicing organic and biodynamic techniques in their vineyards and a minimal approach to winemaking. Being an organic or biodynamic practitioner was not my criteria in selecting the wines as it was purely based on the wine being made by a female winemaker. And yet interestingly there was a homogeneous affinity with organics and a meticulous and pragmatic approach to grape growing and winemaking and one could arrive at the hypothesis that women winemakers are distinctly more in touch with environmental issues and perhaps a maternal instinct of being aware of what is good for you and what is not. I can already sense a group of emotionally injured male organic and biodynamic winemakers about to throw me into the compost pit moreover a mob of women winemakers about to lynch me for saying their wines are motherly. Alas, turning the conversation back to the ‘fine and elegant’, curiously I would not describe any of the wines in this tasting as ‘féminin’, to the contrary none of them lacked for power; indeed all were piercing in their energy and vitality with vivaciousness fruit and yet one could sense an overall restraint in style and balance in the wines, with no hard edges or excessive oak or tannins. Wanting to win the crowd over, I eventually resorted to the theory that women have far more appreciation for the subtleties and intricacies of wine because of their superior olfactory senses attributed to their keen sense of smell and appreciation of perfumes – which thankfully worked. 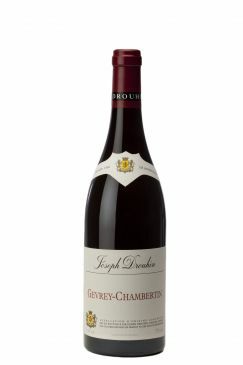 After mingling with our now wine-aroused sisterhood, I managed to sneak off with some remaining dregs of the Maison Drouhin Gevrey-Chambertin 2009 from the tasting and when I got home preserved the wine using winesave, tasting it again 11 days later – and it was all the better for it, losing none of its fruit and developing more complexity in the bouquet, as one would expect of a youthful burgundy. Burgundy aficionado’s and pinot noir lovers are well aware of the merits of the 2009 vintage by now and ‘The horse has well and truly bolted’, in terms of en primeur buying and securing the most sought after producers and higher echelons of Grand Crus will be difficult to source. However, many merchants will have villages and premier cru 2009s reds still available and there is some truly sensational drinking to had from this vintage, right across the board and this wine is the perfect example of how an entry-level villages wine can be completely stunning. And I could not agree more; indeed it is dangerously drinkable and totally seductive in texture and opulence of fruit, balanced by incredible energy and one of those wines that would be perfect on a restaurant wine list. That said it will cellar for 20 years, as Drouhin wines are well-known for their longevity. I have to be honest and declare I secured a case of this wine for myself before this goes to air, as I did not want to miss out – call in wine writer’s privilege. My advice is snap up any 2009 Maison Drouhin wines you can lay your hands on. Below are the wines that were served on the evening, to which I suggest you can run your own féminin tasting. I would however avoid fixating too much on the female theme, as you can get into a lot of trouble, as I am about to be with four strong-minded, independent woman – winemakers.